I was born in a city next to a big ocean and a big river. In Lisbon, the Atlantic is seen as exit route, a way of escape and find a better destiny. Then, it was Madrid, a city where every drop of water is precious and has to be spared. Water is far away, and you could not reach it without an effort. A fountain is a luxury and, normally, a representative work of art. Finally, it came Zurich. Although I am as far from the ocean as the ocean can be, I found myself surrounded by water. Water is everywhere and follows you all day. You live next to it, in Lake Zurich. You live over it, in gained land, like the Burkliplatz. You to have to cross it time and time again, in the many bridges over the Limmat. And, the water flowing from Zurich’s fountains, which witnesses your comings and goings. Ja’ fotografou as fontes de Horgen nos arredores de Zurique? This reminds me of when I worked in a photgraphy shop on Albisriederplatz in the 80’s. An old lady had taken colour photographs of all the fountains in Zurich. She liked to bring the photo albums and show them to me. The albums were the type with the clear foil on a sticky paper and the photographs went right back to the 60s. I have since often wondered what became of these albums and hope they are with someone who appreciates the dedication put in to creating them. Love that I have found your blog today! When we were in Zurich a few months back, I too, was intrigued by all the fountains. We are going back soon, and I can’t wait to see some more! Definitely going to be following your blog 🙂 Thanks for sharing this intriguing insight into such a wonderful and history-filled city! We were in Zurich a few weeks ago for 3 weeks. I was also so happy to see the fountains and was wondering if all of them had some history behind it. Your blog is just awesome. Thanks. 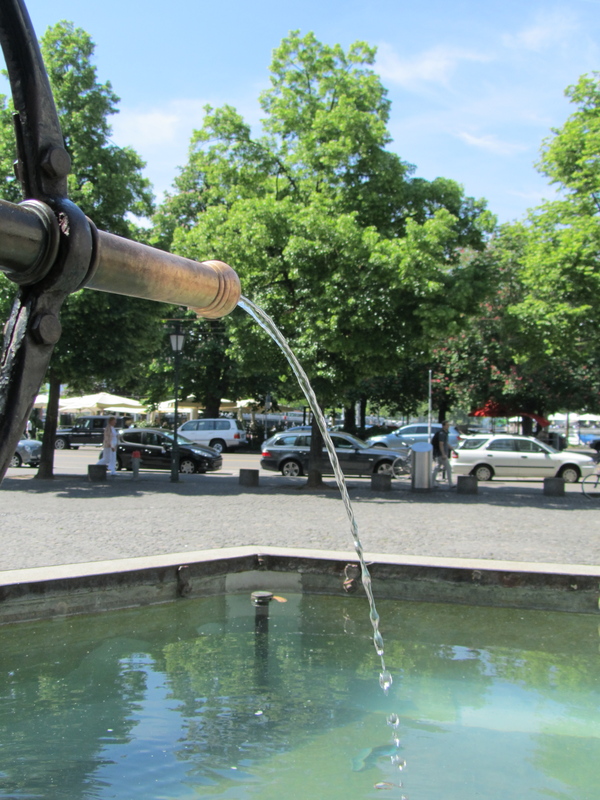 Was just discussing fountains in a cafe in Kreis 4 and i knew there are about 400 which are still fed by spring water. A quick search on Google and i came across your blog. Natural spring water would be a good filter to add. I haven’t found a way to identify the ones with spring water. Would be great if you knew of a way to identify them. I am wondering if have a document with all of the fountains and pictures that you could send me? I am taking a school group to Zürich this summer and would like to take them to all the fountains in the city center. I don’t have one, but the City Of Zurich has prepared maps for each Kreis with each fountain location. You can contact them here. They will send them to you for free.